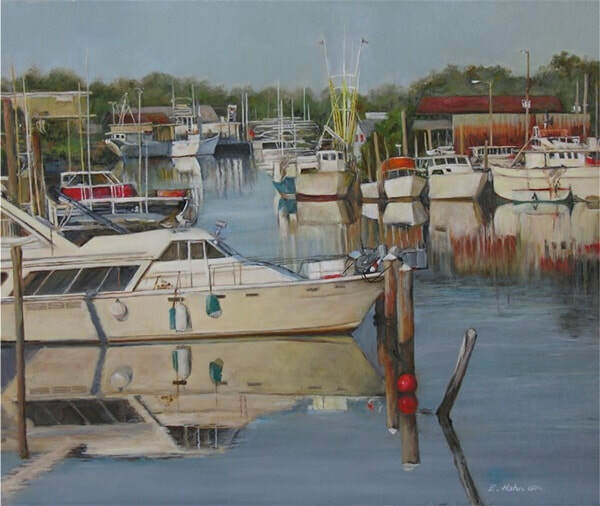 View of Anclote River in Tarpon Springs Fl in morning sunlight. As an artist raised in the Midwest, the natural beauty of the coastal shoreline has always intrigued and amazed me. 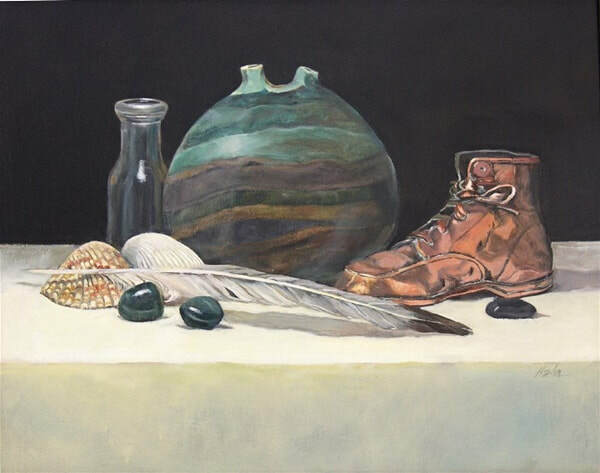 I particularly liked the subject matter and the effect of the light, which enhanced the colors, creating unique and interesting reflections and shadows. Through the years I have focused on developing my work and style to capture that beauty. 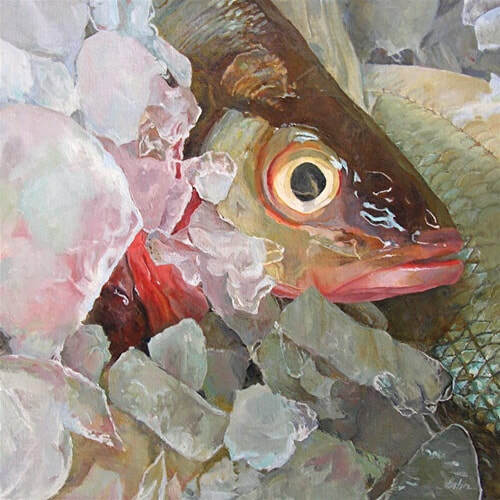 I mainly work with enlarged images with careful planning of the shapes, light and dark patterns, and the colors. I strive to blend the fine nuances of color, texture and shapes to create an image that draws the viewer to a pleasant experience. 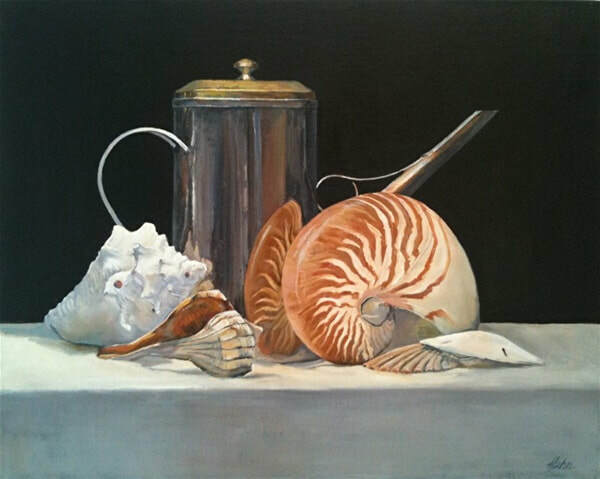 I use the materials and techniques best suited for the subject matter from oils to opaque water based mediums on both rigid and flexible bases and surfaces. 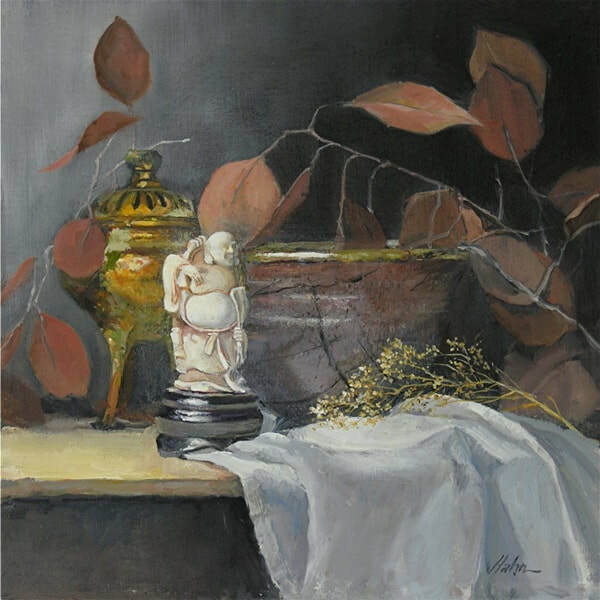 Elaine Hahn, a native of Kansas City, Missouri, holds a BA and MA in Art from the University of Missouri, and has studied with noted artists throughout the United States, England and Mexico. Her early career was influenced by her experience at Hallmark Cards in Kansas City. 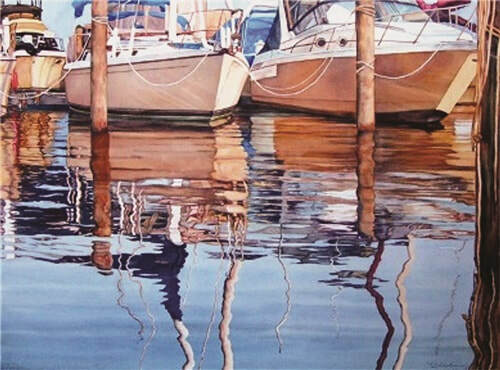 Her paintings have achieved prominence through acceptance and awards in major national juried exhibitions. 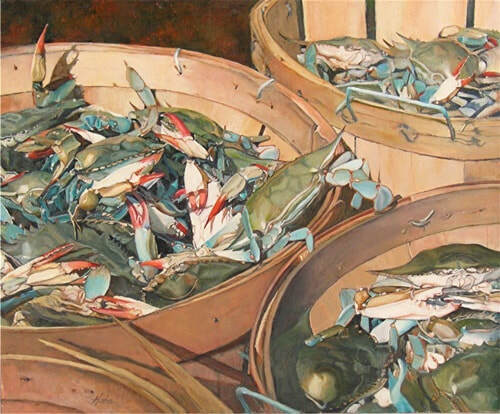 Her works are included in private and corporate collections throughout the United States. She has taught and conducted Workshops in the US and Europe and has served as a judge in Art Shows on the local, regional and national levels. Art Renewal Center Living Artist. 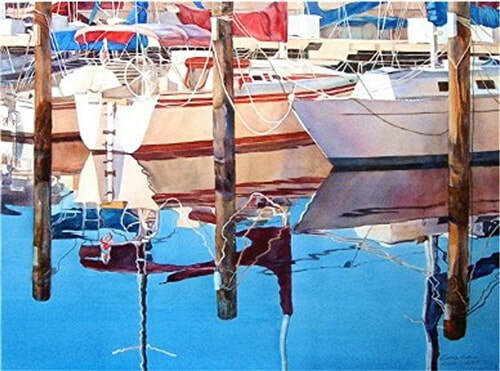 While gaining a national reputation for her watercolors, she now works in both Watercolor and Oils bringing a new dimension to her work. 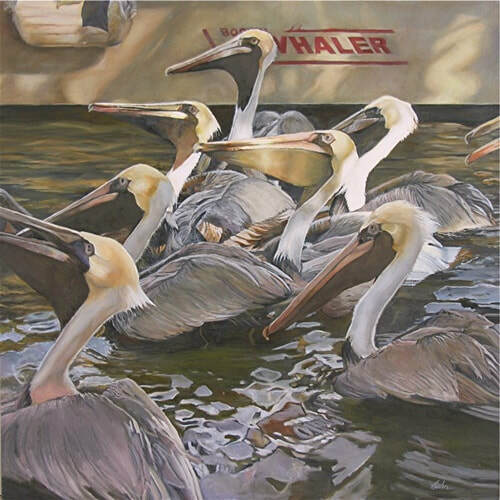 She works from her studio on the Gulf of Mexico in Florida, where she focuses her efforts on developing and expanding her painting techniques, capturing images of the beautiful coastal and marine subjects in the area.